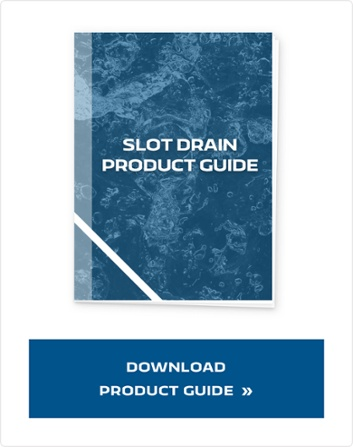 If you've lost one too many items down the grate of your trench drain, you might worry about the same problem with Slot Drain systems. Fortunately, the catch basin is an easy way to ensure that nothing is lost, even if it falls into the slot. Our designers created catch basins specifically to prevent objects from getting lost in a drainage system, keeping small items secure even if they fall down the drain. Should you include a catch basin when you install a slot drain? We've taken a closer look at the reasons for including these helpful pieces in your drainage system. If you're working with tools, screws, or other small items, the last thing you want is to lose one. Catch basins prevent items that fall through the slot from going out with the rest of the water. Instead, they catch everything in an easily removable strainer basket where you can find it quickly and get right back to work. When someone drops an item down a regular trench drain, it's easy for the item to get stuck on rough surfaces along the drain. Slot drains have a smooth surface and an easy to use cleaning paddle that ensures every foreign object ends up in the catch basin. This prevents hours of wasted time spent looking for a small object along the length of a large trench. In addition, the catch basins of traditional trench drains are often difficult to remove, adding to the time needed to find a lost object. If someone drops jewelry, an important manufacturing component, or other object down the drain, it's a problem both for them and for the owner of the drainage system. This is especially true in public spaces or areas with lots of employees. Fortunately, adding a catch basin to your slot drain system ensures that all valuable items are kept safe. It's easy to remove the catch basin and find the lost object. Unlike traditional trench drains, which often have grates that are difficult to remove, finding lost objects is easy with a catch basin. It's possible for leaves and other debris or solids to slow the flow of liquids. Catch basins keep your slot drain functioning at maximum capacity by keeping leaves and other debris out of the way of your drainage systems. The leaves are caught in the catch drain while your slot drain system continues to operate normally. Is a catch basin right for me? If you're still not sure whether a catch basin is important for your slot drain system, consider your work environment. The last thing you would want is waste and solids that go into your drain to end up in the sewers. If those materials end up in the sewers you could face first time offence fines up to $50,000 for breaking environmental regulations for your cities sewer system. If you have any materials in your workplace or processing facility that you don't want to end up in a sewer, a catch basin is a great choice. A catch basin is the perfect way to ensure you never lose anything through your slot drain. It's simple to remove, so you can find whatever you're looking for quickly. You won't waste time trying to find something in the drain or stuck in a grate, since the sleek design of the slot drain prevents items from getting stuck. The smooth surfaces and technologically advanced drainage system ensures that all objects end up in the catch basin instead of getting stuck somewhere along the length of the drain. 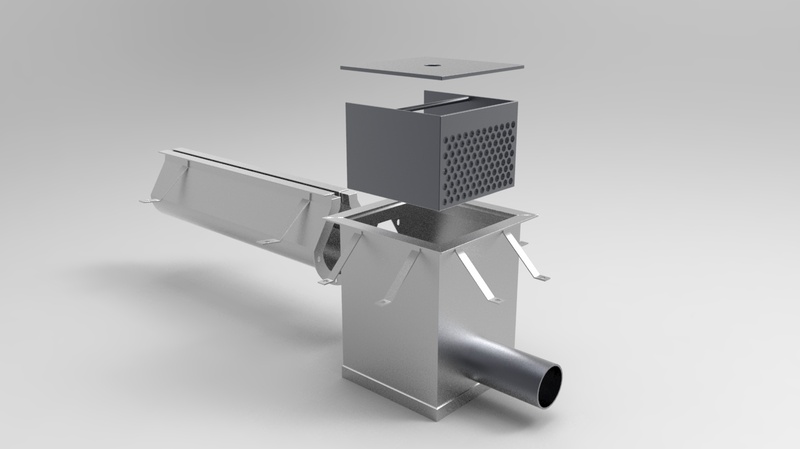 With the sleek design and loss-proof catch basin, you'll never go back to a traditional trench drain.